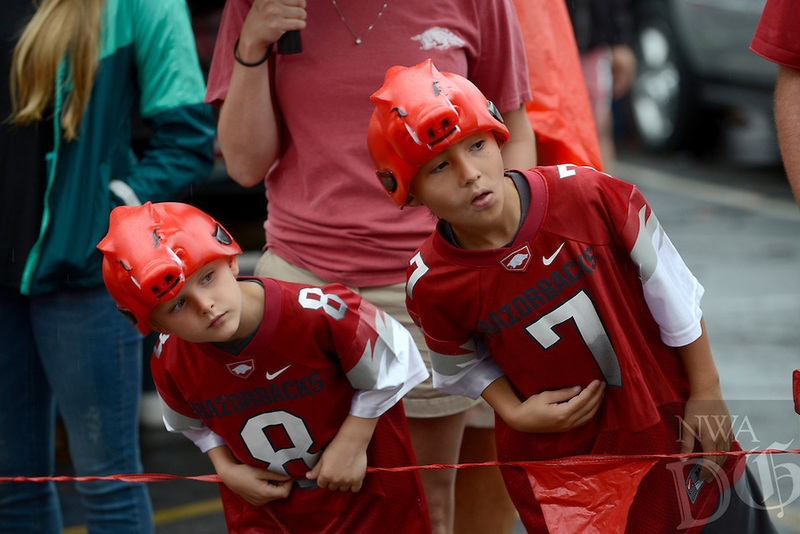 Braden Burkett, 5, left, and Brantly Vier, 8, wait for the University of Arkansas football team to walk by Saturday, Sept. 6, 2014 before the Arkansas' football game against Nicholls State in lot 56 in Fayetteville. The brothers were tailgaiting with their families. This is the first home game of the season and the Razorbacks hope to break a 10 game losing streak.